The federal government of Pakistan has issued at least 12 special permits to the members of royal families of Gulf states to hunt the internationally protected migratory bird, houbara bustard, in Balochistan during the 2018-19 season, reported Pakistan’s leading daily Dawn News. According to highly placed sources, the special permits have been issued to an Emir and his father, a president, rulers and crown princes, a governor and other members of the royal families of Saudi Arabia, the United Arab Emirates (UA E), Qatar and Bahrain, added daily Dawn. According to the permits signed by the foreign ministry`s Deputy Chief of Protocol Mohammad Adeel Pervaiz, Governor of Tabuk Prince Fahd bin Sultan Abdul Aziz Al-Saud of Saudi Arabia has been allowed to hunt houbara bustards in Awaran district and Nushki (excluding Nushki city) and Chagai district (excluding the area in the northwest corner of Balochistan located in Chagai district (Nokundi) and Prince Mansour bin Mohammad S. Abdul Rehman Al-Saud in Dera Bugti in Sui district, report read. The UAE president and Abu Dhabi ruler Sheikh Khalifa bin Zayed Al-Nahyan and Abu Dhabi`s crown prince Sheikh Mohammad bin Zayed Al-Nahyan have been allocated Panjgur, Kharan, Kalat and Zhob districts (excluding Qamar Din Karez). 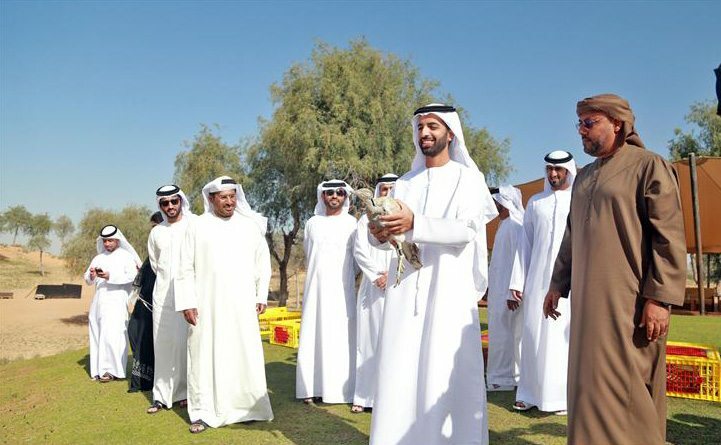 UAE president`s son and a former deputy prime minister Sheikh Mohammad bin Khalifa bin Zayed Al-Nahyan has been allowed to hunt the migratory bird in Loralai district (excluding Duki area), Abu Dhabi ruler`s representative in the Western Region Sheikh Hamdan bin Zayed Al-Nahyan in Lehri Tehsil of Sibi district (minus Domki area) and UAE`s Vice President and Prime Minister and Dubai ruler Sheikh Mohammad bin Rashid Al-Maktoum and Crown Prince of Dubai Sheikh Hamdan bin Mohammad bin Rashid Al-Maktoum in Khuzdar and Labella district and the area in the northwest corner of Balochistan located in Chagai district (Nokundi). Emir of Qatar Sheikh Tamim bin Hamad bin Khalifa Al-Thani has been allotted Washuk district, his uncle Sheikh Jassim bin Hamad bin Khalifa Al-Thani Musakhel and Drug Tehsils in Musakhel district and Sani ShoranTehsil in Kachi district. A member of the Supreme Council of the royal family of Qatar Sheikh Ali bin Abdullah Thani Al-Thani has been allotted Kech district less Hoshap. Another member of Qatari royal f amily Sheikh Faisal bin Nasser bin Hammad Al-Thani has been allowed to hunt houbara bustards in Qila Saifullah district, including Kakar Khurasan and Qamar Din Karez. Commander in Chief of Armed Forces of Bahrain Sheikh Khalifa bin Ahmed Al-Khalifa has been allocated Toisar Tehsil in Musakhel district. Minister of Interior of Bahrain Lt Gen Sheikh Rashid bin Abdullah Al-Khalifa has been issued permit to hunt the prized bird in Jafferabad district. The sources said the Pakistan Tehreeki-Insaf government has issued the special hunting permits though Prime Minister Imran Khan used to criticise the previous governments for issuing such permits when he was in the opposition. The PTI had never allowed the Arab rulers to hunt the highly rare bird in Khyber Pakhtunkhwa where it was in power. They said Adviser to the PM on Climate Change Malik Amin Aslam, who is also the South East Asia vice president of the International Union for Conservation of Nature (IUCN), looked the other way when these permits were being issued to the hunters having petro-dollar stuffed pockets. The IUCN is one of the largest NGOs working globally for nature conservation. The sources said by issuing special permits to Arab hunters, who considered the houbara bustard to be an aphrodisiac, the government had violated various international nature conservation conventions as well as local wildlife protection laws. Pakistanis are not allowed to hunt this migratory bird. The sources said by issuing these permits the government had also put the Generalised Scheme of Preferences (GSP-Plus) status given to it by the European Union under threat because as a beneficiary of the GSP Plus, Pakistan has to follow numerous international agreements, particularly those concerning the nature conservation. They said that the EU periodically checked if the country concerned was following its international commitments or not, reported the daily.